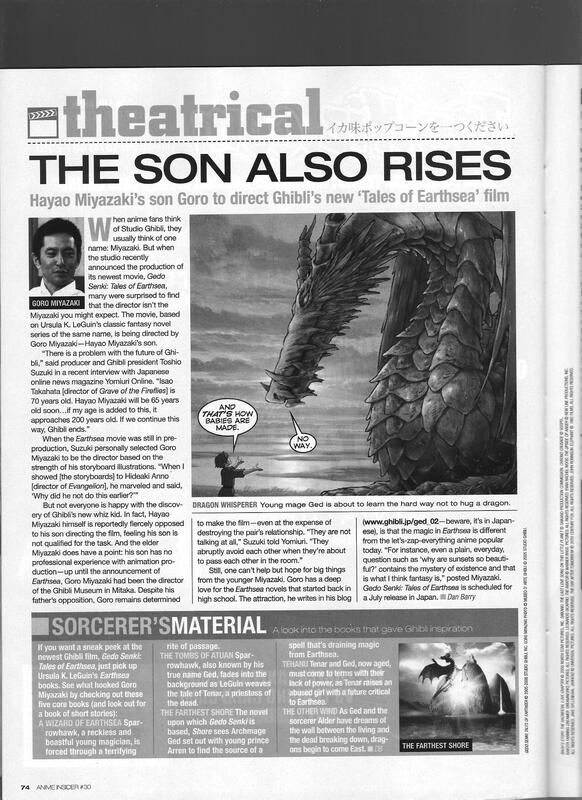 A short article on the then-upcoming Tales of Earthsea movie, with some comments on Toshio Suzuki’s awareness of the need to develop new talent before the elder Miyazaki’s retirement. This entry was posted in Old Magazine Articles and tagged Anime, Borderline Plagarism for the Freedom of Information, Goro Miyazaki, Studio Ghibli, Tales of Earthsea, Toshio Suzuki by torisunanohokori. Bookmark the permalink.